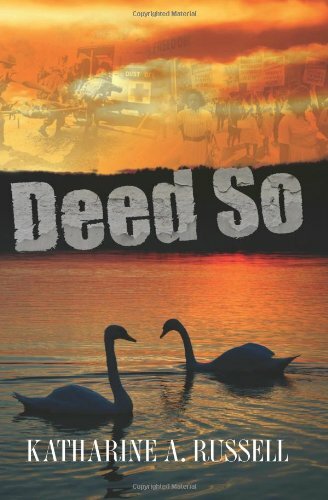 When I started writing DEED SO, I didn't think of my book as historical fiction. I wanted to write a coming-of-age novel that touched on all the themes that were important to Boomers as they entered their teens. In psychological terms, we are who we were at about age fifteen, so my plan was to write a book that foreshadowed what the Boomers would become as they journeyed toward adulthood and were shaped by the tumultuous events of the Sixties. I set the story in what I call the last year of innocence, the year before President Kennedy was assassinated. In DEED SO, all the seeds are in place for the conflicts that blossomed in the later part of the decade. The readers knows this, but the characters in the book, of course, are clueless about the changes that are just over the horizon. And yet they sense the tremors. In a few weeks 2012 will be upon us and the setting of DEED SO will be exactly fifty years in the past, the earliest threshold for a novel to be considered historical fiction under most circumstances. Although I did not start out with this as a goal, I believe I have created an authentic snapshot of the early Sixties -- the feel and the pace of the times, what was important to people, the language, occupations and hobbies, the constraints and the freedoms. At one point in the book, the main character, Haddie Bashford, has to wait through the night to learn the fate of a loved one. She had to wait until the news cycle caught up with events. Since she lived in a very small town, her problem was compounded. In those days, only big city news made the front page in a day. Now cell phones and the internet have destroyed the news cycle for the most part. People in remote rural areas can stream the image of a tornado to a news outlet in seconds. Technological change over the past fifty years has been an eye popper. So has social change. In the early Sixties, women chose among a limited number of career opportunities -- nursing, teaching and secretarial work. Now girls can aspire to be astronauts. African Americans had very limited opportunities not only in terms of careers, but schools, neighborhoods, restaurants and even seats on the bus. We have come a long, long way. 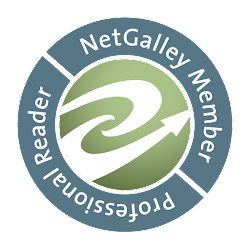 I was very pleased when one reviewer said I had helped her understand her mother. She felt she had a better feel for why her mom reacts in certain ways and why her priorities are the way they are. I hope DEED SO does this for lots of readers. To know what makes a Boomer tick, you need to see what happened to them in their teen years. DEED SO actually unpacks two generations, the idealistic and materially favored Boomers and their parents, the Greatest Generation, who came of age during the Depression and were victorious in World War II. This generation wanted to build and preserve a safe and predictable world, so they could get back to the business of raising a family and enjoying a close knit community. They wanted to warm their hands around the hearth. The Boomers were bored with the hearth; they want to see the world, the bright lights and the big city. The GGs had seen the big city at 30,000 feet or in house-to-house firefights. They didn't think the city was all that alluring. When you think about it, these two generations were destined for conflict. If Vietnam hadn't come along to set the whole suspicion and mistrust thing in motion, somebody would have had to invent it. In 1970, my father threatened to disown me for listening to an antiwar speaker at Northwestern University. I threatened back that he would never see his grandchildren. We made our peace long ago, but during the emotional days after Kent State, parents and their college age kids often found themselves on the opposing sides of issues. A quiet family dinner could go ballistic. DEED SO is a complete story, with a beginning, middle and end, but it also is a stepping stone. Reading it is like watching a generation put a communal foot on the road to maturity. We know that road passed through some pretty treacherous territory, but a lot of good came out of the journey. For me, it is a bit like watching Harry Potter get his wand. Katharine is the author of DEED SO - Smashwords Link. It is 1962, and Agnes Hayden Bashford, Haddie, a brainy Southern teen from a tradition-bound family, dreams of breaking free from suffocating expectations placed on girls and from Wicomico Corners. She vows to escape to the exhilarating world beyond its narrow borders, like her handsome, older friend Gideon Albright who is going to Vietnam. A series of shocking incidents brings the outside world crashing down on her peaceful village, exposing long-buried family secrets and setting Haddie on a collision course with an unstable firebrand who will have to silence her to protect his identity. Haddie witnesses the fatal shooting of a black teen by a white down-on-his-luck farmer trying to protect his retarded son. The resulting murder trial attracts outside agitators and political aspirants, and pits townspeople against each other. Excited about being a witness in the trial, Haddie sees her moment of notoriety dissolve into frustration and discomfort and tragedy claim the people around her. The racially-charged case exposes civic fault lines and secrets within Haddie's own family, shattering her comfortable home life, and unleashes an arsonist who terrorizes the community by night. In Deed So, a young girl and an entire town lose their innocence in the last year of innocence, the year before the Kennedy assassination, the civil rights struggle, feminist activism and the Vietnam War changed America forever. She is also the author of Buddy's Tail. I do not have a cover to share but I do have a book trailer. Very cute for children. It is sold through Smashwords - Buddy's Tail.